Born on 25th September 1990 Popular and a noted Haryanvi dancer and singer Sapna Choudhary who rose to fame with her stint in Bigg Boss 11 as a commoner. Sapna started doing stage shows at the age of 21 to provide financial support to her family. Because of her incredible talent, she started gaining a lot of attention and popularity. . Her concerts are called Ragini in Haryana. It is a traditional way to get entertained by various performers. 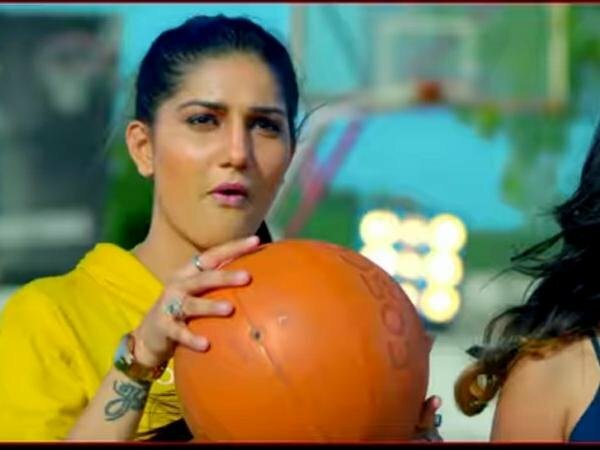 Sapna Choudhary’s popular dance numbers Teri Aankhya Ka Yo Kajal, clocked over 300 million views on YouTube. Her dance moves are hot, sensuous and very energetic. But in her recent album song she appeared in a changed form released on 12th April in which she is in the role of a college girl featured while playing Vollyeball in the ground against the boys team. The song goes like “Beta tumsey Na Ho Payega” bagged views in lacs written by A.I John and sung by Raju Punjabi and Monica. It is on top while searching for it on you tube.